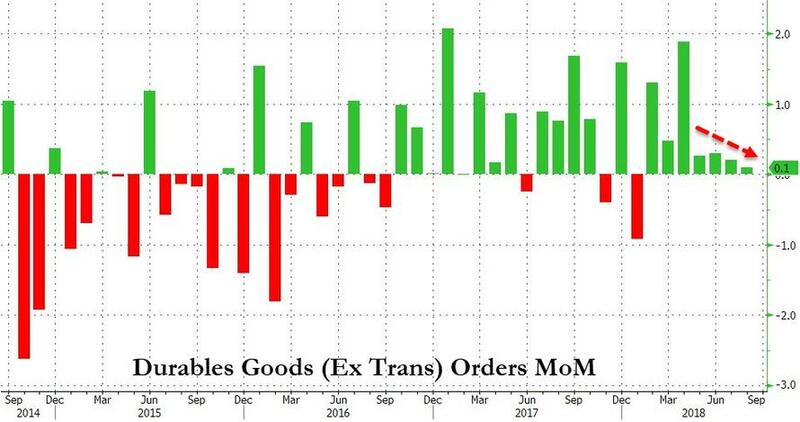 After a surprise tumble in July, preliminary August Durable Goods Orders were expected to rebound aggressively and rebound they did - jumping 4.5% MoM (+2.0%exp), the biggest jump since Feb '18. However, scratch below the surface and things are not nearly as positive as the headline suggests. 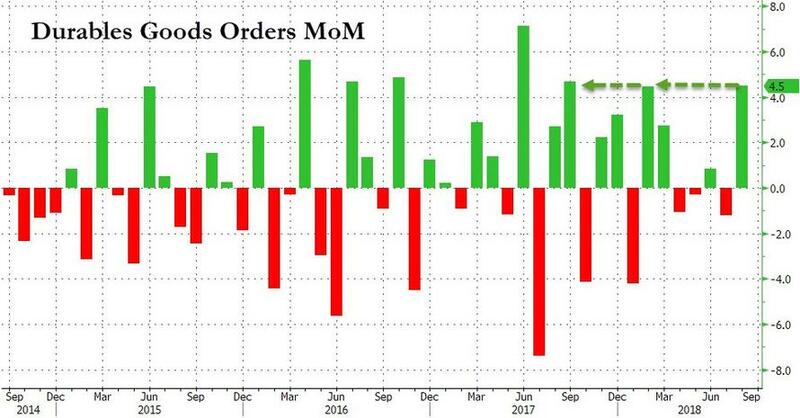 Well below the 0.4% expected jump. Bookings for motor vehicles and parts fell 1 percent; communications equipment up 0.7 percent, computers and related products down 0.8 percent. 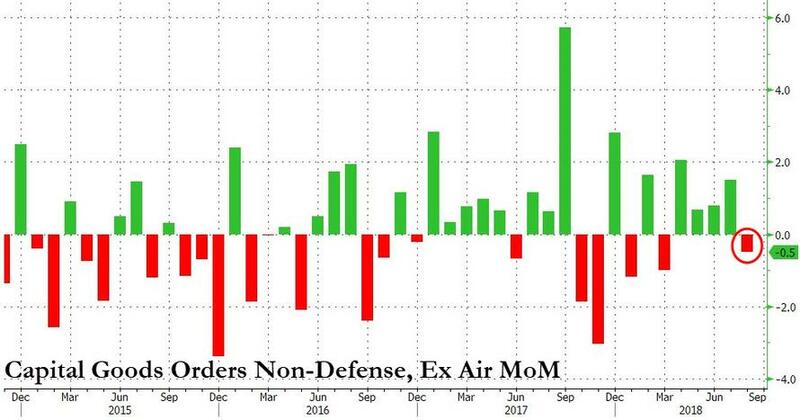 Defense capital-goods orders jumped 44.4 percent, most since February. Thank goodness we are at war in so many places! !